According to Juniper, a digital market research firm, contactless payments are on the rise globally. The amount of money paid via this method is set to double by 2020 and is already set to pass $1 trillion USD this year. It is important to note that this entire amount is not attributed to mobile wallet systems like Google Pay, but includes contactless card payments as well. As a matter of fact, contactless cards make up 55 percent of the market share globally. While contactless transactions are projected to reach $2 trillion by 2020, $300 billion of that total will be accomplished through mobile wallet payments. Surprisingly, Apple Pay dominates this area. According to the research, OEM payment services such as Apple Pay, Samsung Pay, Google Pay and others control a vast amount of the mobile wallet arena. Registered OEM mobile wallet users are set to reach 450 million by 2020. 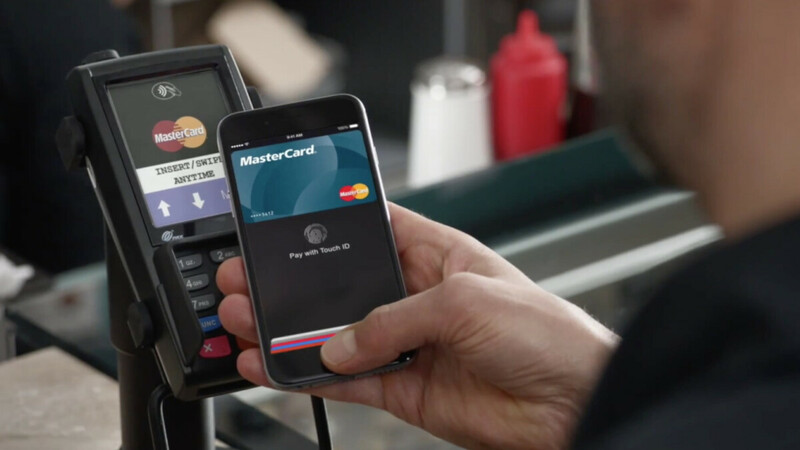 Although Android is the dominant OS globally, Apple Pay users will account for 50 percent of all mobile wallet subscribers. So while more people are currently using Android, iOS users appear to be more inclined to register a mobile wallet account. Since contactless payments are rapidly rising throughout the world, OEM payment services are likely to play an important role going forward. With eBay welcoming Apple Pay as well, it seems the service is certainly paying off for the tech giant. In UAE we got Samsung almost one year before Apple Pay yet I rarely saw an ad for it and all store employees don’t even know whether their machines support it or not. Just 7 months ago we got Apple Pay and the ads are plastered every where, store employees always ask whether you want to use Apple Pay or card. Apple is best at marketing and getting people to know of their products! "Apple is best at marketing and getting people to know of their products!" Exactly and like you said companies also helping with that because they know they will win customers too. I agree that advertising and marketing is a big deal. When a retailer in the US starts to support Apple Pay, they have huge banners saying that they do. McDonald's does have the Apple Pay and Samsung Pay and the Android Pay symbols on their doors, but I seriously doubt people actually pay attention. Samsung and Google certainly need to run more TV ads, and whichever retailer supports the system, they should make sure there is a vivid banner or sign that says so. Just Sunday one of my friends left CC's at home. And he has an iPhone 6 and I asked him, don't you use Apple Pay? And he was like, what's that. And I showed him and he was like, oh that's what that's for? He thought it was only for buying stuff from Apple Store or the App Store. Once mobile pay is more mainstream, it will catch on. I believe Apple could only get the advantage if, NFC takes off because Apple has the most banks. But Google and Samsung have the biggest banks. I think what would have helped is, if Visa and Mastercard just made a general tokenization kit that works with any VISA or MC. But according to what I read, each bank has to pay to have its own master token for mobile payments which is expensive, because they have to do it for each card they have to support. And small bankes rarely do it because of cost. Apple Pay has yet to rollout in many European countries (many years after official introduction) where Android Pay has worked for years. And even here in the US I lost count how often I am told at checkout that they don't support Apple Pay... after which I happily use Samsung Pay and am met with the shocked reaction of a cashier "wow, that's so cool!". It's just an awareness thing. Apple has a stronger mouth to mouth and advertising force pushing their digital wallet. Oh and they take a lot more cash per transaction (fees) , to drive revenues from those transactions... A strong incentive for making its users use it. It takes time to setup tokenization with banks to get them onboard. Samsung Pay has an advantage in the US, because it works even without NFC. I think the biggest issue with mobile pay is, people don't know when it will or won't work and just feel better just always using the card. All the places I frequent all have worked with Samsung pay with zero issue. Sam's Club was the only retailer where it use to work, and then they did a system wide update to prevent mobile pays from working. Apple pay does not dominate this area, The article says it will be set to pass $1 trillion USD this year. That is already dwarfed by China's Alipay and Wechat pay who last year totaled US $12.77 trillion and is rapidly rising as China moves towards a cashless society. The research was looking at contactless card transactions. The figures for we chat and the like include money transfers and other online end to end transactions. You might want to reeducate yourself in those numbers and how they were achieved. Apple Pay been real game changer, i now use my credit card like once a month etc. It works so beautifully, they just need to get new countries faster, but i understand big changes like this takes time to go well. Well... Not every Android smartphones have NFC... But Apple did, starts from iPhone 6. And another reason is lots of Android users are not recognize about contactless payments, such as 3rd world country, which supports either Samsung Pay, Apple Pay, or Google Pay. Malaysia is the best example. I traveled to the country and discovered the situation. It should have said will. The adjustment was made thanks. Not ready for a cashless society, so I still use cash whenever possible. How can Apple dominate this, when they have the least support? Google Pay/Android Pay are terrible too. 90% or retailers in the US don't support NFC. Which makes Apple Pay and Android Pay totally useless vs Samsung Pay. Can't speak for Europe which is mostly NFC. But many retailers are converting. McDonald's has converted all its locations to support all mobile pay system and Foot Locker is in the middle of doing the same.